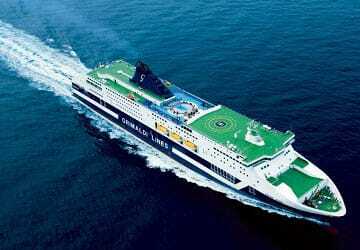 Grimaldi Lines - View timetables, Compare and book ferry tickets at directferries.ie. 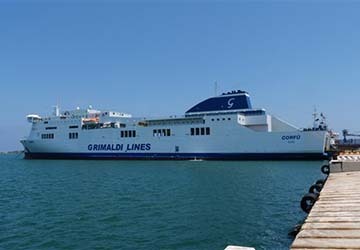 Grimaldi Lines operates numerous ferry services in the biggest ferry markets, linking you with Spain, Tunisia, Morocco, Malta, Greece, Sardinia and Sicily. 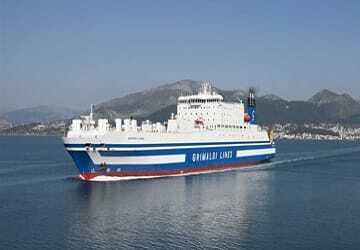 Grimaldi Lines is part the famous Grimaldi Group which includes the Minoan Lines and Finnlines brands. 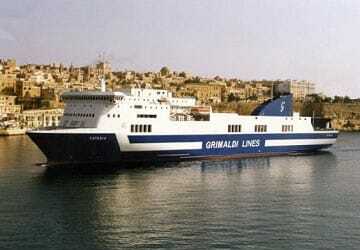 The Grimaldi family’s links with the sea date back to the 14th Century and the current group comprises one of the largest fleets of ships in the world. 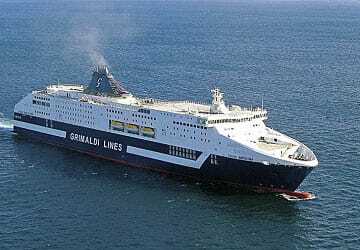 The transportation of vehicles was introduced to the operations in 1969, and over the last 40 years, the company has focussed mainly on Ro/Ro ferry services while expanding its service network to Northern Europe and West Africa. 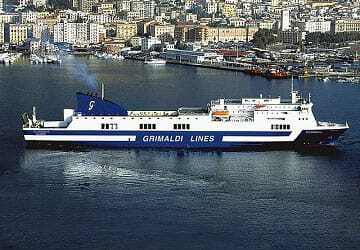 With Grimaldi Lines you’ll find a fleet of new generation, fast and comfortable ferries and, thanks to the quantity and the quality of their on board services, you can make the most of the entertainment provided followed by a good night of rest while cruising towards your final destination. 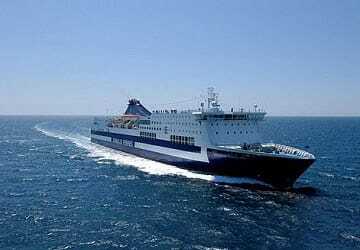 Directferries.ie allows you to compare Grimaldi Lines timetables and fares with all alternative ferry operators before deciding on the best option for your trip. "Really great option for travel between Spain and Sardinia "
We really enjoyed taking this route between Barcelona and Sardinia. We travelled as foot passengers and had a cabin which was clean and nicely equipped for an overnight journey. Boarding was easy and quick, the boat left (and arrived) a little late but that didn't really affect us at all. The only thing it would have been nice to know in advance that nobody told us was that we would be made to leave our cabin 2 hours before arrival, luckily we were up and ready to go but it would have been a nasty surprise if not! We barely used catering or other seating facilities but they seemed perfectly adequate. Staff were few and far between and not particularly friendly, but they did their jobs as you would expect and we encountered no problems. I have enjoyed of the whole trip. Everything was ok. Thank you.